“The first Stena Line ferry departed from Stenpiren in Gothenburg to Skagen in Denmark in 1962. 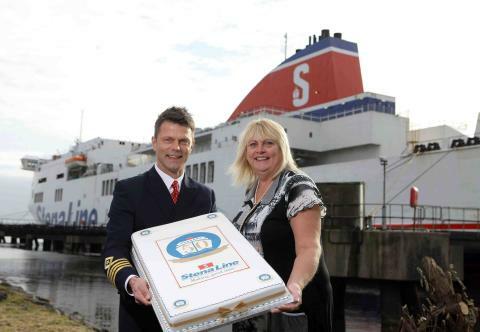 This was the beginning of a much longer journey for the organisation as now, 50 years later; Stena Line has become one of the world’s largest ferry companies! Birthday celebrations are taking place onboard all routes on Friday 28th September with live entertainment, birthday cake and lots more. Customers can take a car-cation to Scotland or England and enjoy the exceptional Stena Line facilities including free wi-fi, movies, onboard shopping, Curious George for kids, or upgrade to Stena Plus for that extra special experience. To claim £50 off a car-cation before 1st October book now at www.stenaline.co.uk/fifty, call 08447 70 70 70 or contact a local travel agent. All bookings and fares are subject to availability. Terms and conditions apply. Stena Line, an ABTA member, is an international transport and travel service company and one of the world's leading ferry operators. Stena Line operates in three business areas: Scandinavia, the North Sea and the Irish Sea with a network of 18 strategically located ferry routes in Europe. Stena Line has a modern fleet with a total of 35 vessels including fast ferries (Stena HSS), traditional combi-ferries, RoPax ferries for freight and passengers, and pure cargo ships. Stena Line is a stable and profitable group and is committed to providing passengers with the best service and experience possible. 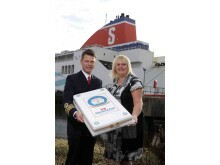 During 2009, approximately 15.4 million passengers travelled with Stena Line. 3.3 million cars and 1.6 million freight units were transported during the same period.